Kraken, headquartered in San Francisco, California, claims to be the largest Bitcoin exchange in terms of euro volume and liquidity. It operates across the United States (with the exception of New York due to the BitLicense) and Canada, as well as in the European Union and Japan. 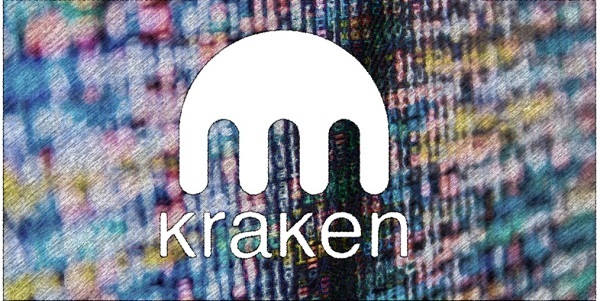 Founded by Jesse Powell in 2011, Kraken is known for its low transaction fees, wide range of features, and overall security. Following the bankruptcy of former bitcoin exchange Mt. Gox, the Kraken platform assisted in processing claims. On Kraken, you can purchase Bitcoin, Ethereum, Litecoin, and a range of other cryptocurrencies with fiat currencies, including US dollars, euros, and Japanese yen. There’s also the option of margin trading for more experienced users. Kraken’s interface offers plenty of options, but it isn’t the most beginner friendly—something to consider if you’re new to cryptocurrency. In November 2017, CEO Jesse Powell apologized for the issues plaguing the exchange. Kraken was struggling to cope with increasing demand for cryptocurrencies, resulting in users receiving many different error messages and having difficulty using the exchange for its intended purpose. In order to better deal with this, the exchange promised a major upgrade for early December 2017. Deposits and withdrawals can be made via SEPA, SWIFT, and wire transfers. In almost all cases, deposits and withdrawals can be expected to take 1–5 business days. In my experience, the average deposit has taken as little as 24 hours. It’s free to deposit most of the accepted cryptocurrencies, but there’s a small address setup fee in a few cases. With regard to fiat deposits, SEPA deposits are free, making Kraken particularly convenient if you’re in the European Union and your location is on the list of SEPA countries. A bank wire transfer from within the United States costs $5 and $10, whereas it costs €10 or £10 from outside of the United States. Kraken is available all over the world, but there are only two language options available on the website: English and Japanese. The exchange can also be accessed via the iOS app; however, reviews aren’t great, and the general consensus is that it’s unreliable and has too many bugs. Kraken’s fees are among the lowest of all the major bitcoin exchanges. The fees you pay depend on the tier of your account (more on this later): the higher the tier, the more volume you can trade with your account. The more volume you’re trading, the lower the fees. In each trade, both the buyer and the seller are charged a fee, with the buyer paying more than the seller. Kraken’s fees can range from 0% to 0.26% depending on the account tier and whether you’re buying or selling. Upon opening an account, take a look at the verification section, in which you’ll see the five different account types (scaled from 0 to 4). As we touched upon in the fees section, the tier of your account dictates the level of fees you’ll pay. Another difference between verification tiers is how much you’ll be able to deposit and withdraw in fiat and cryptocurrencies. Expect this amount to rise substantially as your account level increases. You can’t make deposits or withdrawals with a basic Tier 0 account. However, you need only to provide basic information (full name, date of birth, country of residence, and phone number) to reach Tier 2, which allows a daily deposit of $2,000 fiat per day and $10,000 per month. No ID or proof of address is required until Tier 3. Tier 4 requires contact with the support team, as it’s reserved for high value and corporate accounts. In my case, it took just a few minutes to be verified up to Tier 2. However, it’s worth noting that the process can take longer if a manual review is required. Tier 3 verification typically takes a few days. Some users have reported Tier 3 verification delays when there is a particularly heavy influx of new users.  The website features an extensive support guide, which covers everything from verifying your account to trading. In most cases, you’ll find what you’re looking for there. However, in the event that you do need support, you can always submit a support ticket. It’s worth knowing that Kraken customer support can be on the slow side and may take days to respond. There is no live chat option. Much like with any cryptocurrency investment, it’s a good idea to do some research before choosing a particular Bitcoin exchange. The general consensus online is that Kraken’s main strengths lie in its low fees, advanced features, and strong security. While Kraken certainly has its advantages, it has drawn a huge amount of criticism in recent months due to its inability to cope with increased traffic. An update in mid-December 2017 seems to have largely addressed these problems. Other criticisms of Kraken include its user interface, which isn’t the most beginner friendly. Kraken is a very secure site thanks to its two-factor authentication feature. This is available not only on account login but also in the trading and funding processes, providing an extra layer of security. There’s also the possibility to set up a master key for password recovery and a two-factor authentication bypass. Enhanced security features include a global settings lock that helps prevent account information (account settings, passwords, 2FA, etc.) from being tampered with in the event of an attack. Overall, it’s fair to say that Kraken is an option well worth considering thanks to its excellent security features and low transaction fees. However, it’s not the best option for beginners due to its more complex interface. What’s more, caution is advised as Kraken has become very unreliable at the time of writing, with errors making the site almost unusable. With any luck, this will be fixed with the planned update.